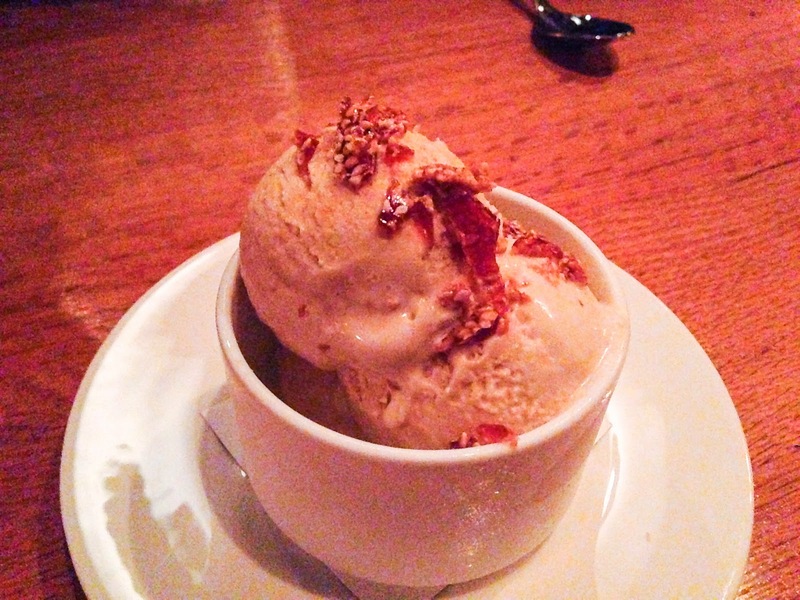 I was invited to dinner last month by the wonderful Tabelog folks over at Chef Dave Pasternack's (Esca) newest restaurant Barchetta. 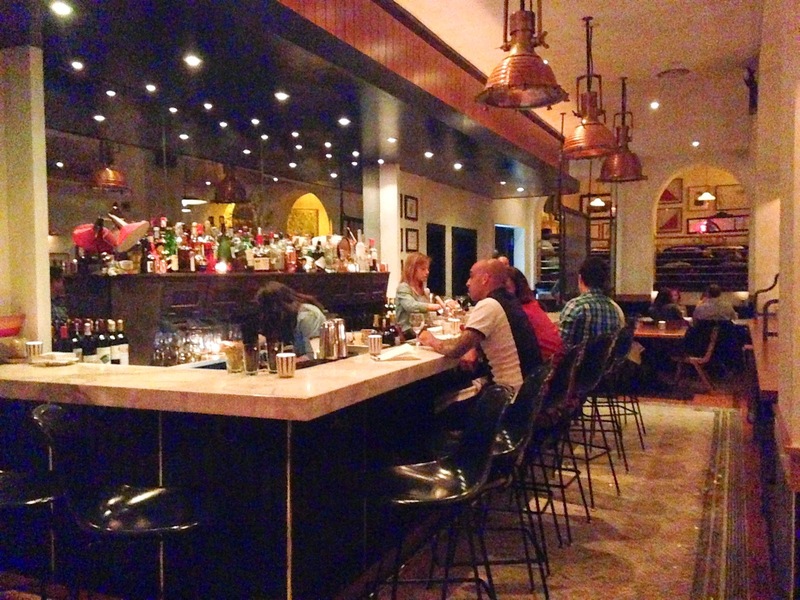 Barchetta translates to"little boat" in Italian; a proper name for a restaurant focused on flavors of the Mediterranean seaside. 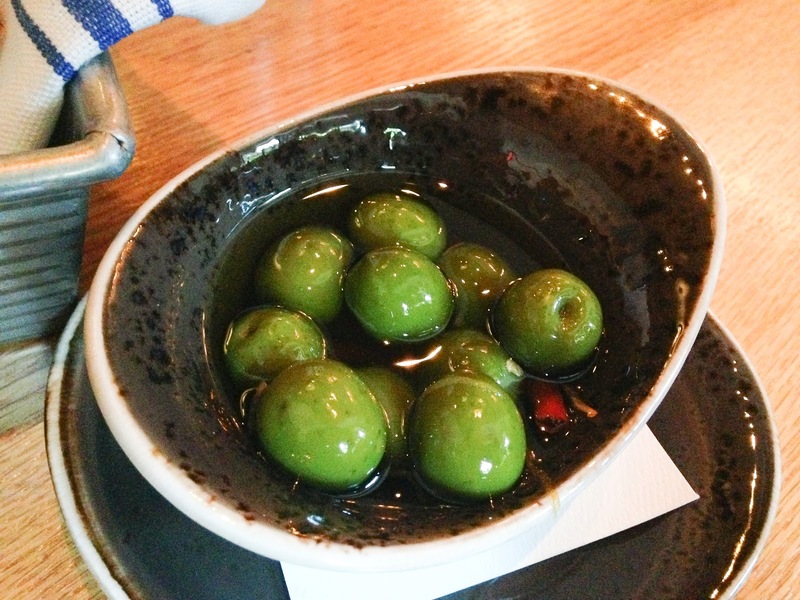 The meal began with a small bowl of Castelvetrano olives, one of my absolute favorites. They have thick, meaty flesh with a delicious buttery flavor and such a bright green color they almost seem like they're glowing. 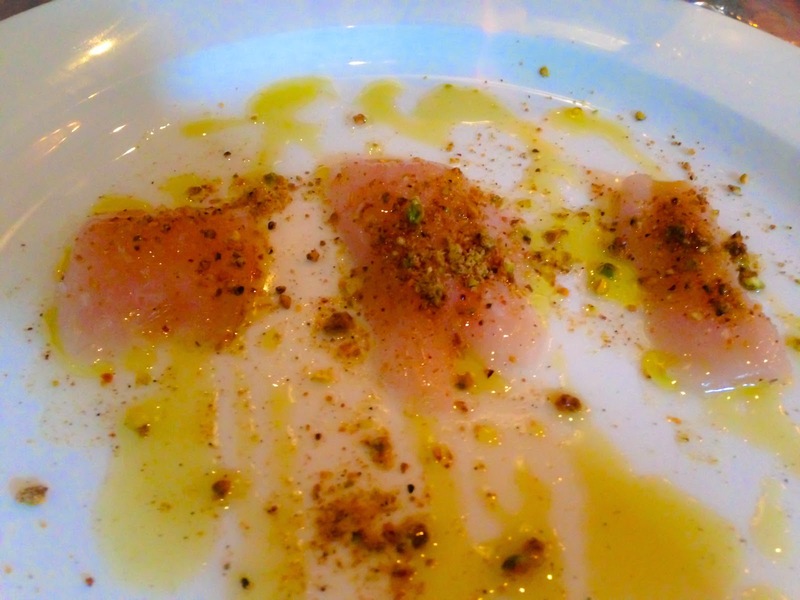 Pumpkin Swordfish Crudo followed dressed with olive oil and crushed pistachio. There was a wonderful sweet nutty taste but I was terribly disappointed with the slicing of the fish. Chef Pasternack is known for impeccable seafood so receiving three insanely small jagged pieces, two of which were barely a full bite, was a total letdown and quite frankly a rip off for the price point. 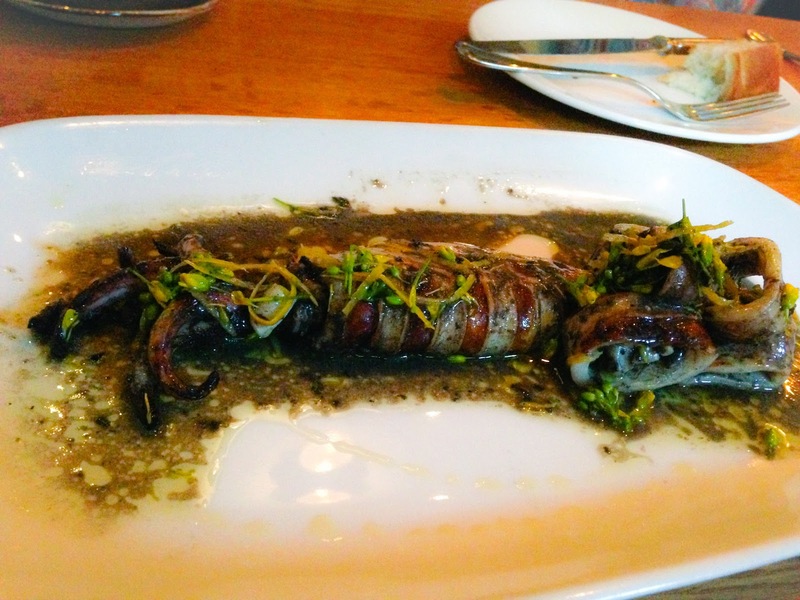 Calamari with Squid Ink was much healthier in size with a soft creamy texture that was quite exquisite. 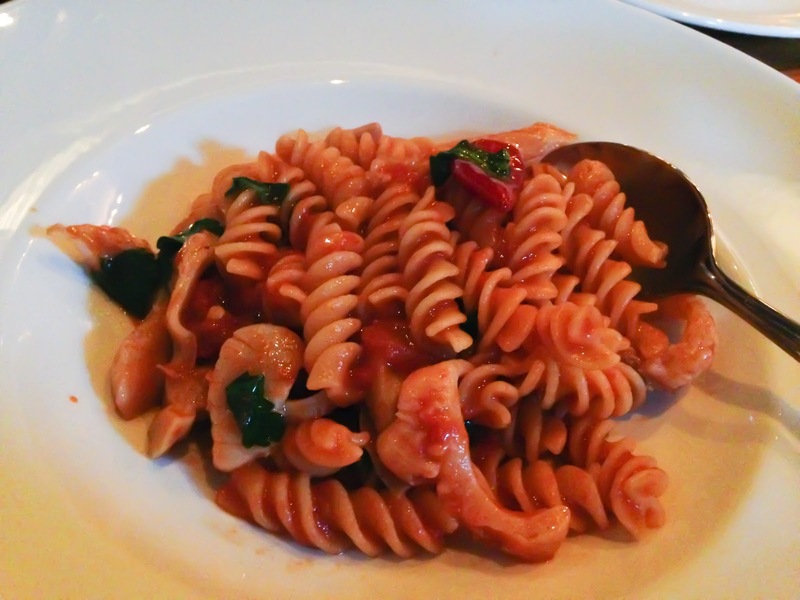 The waiter warned us the Fusilli with Atlantic Surf Clam and Calabrian Chilies would be spicy, but the chilies actually added a smoky flavor that balanced the dish perfectly. 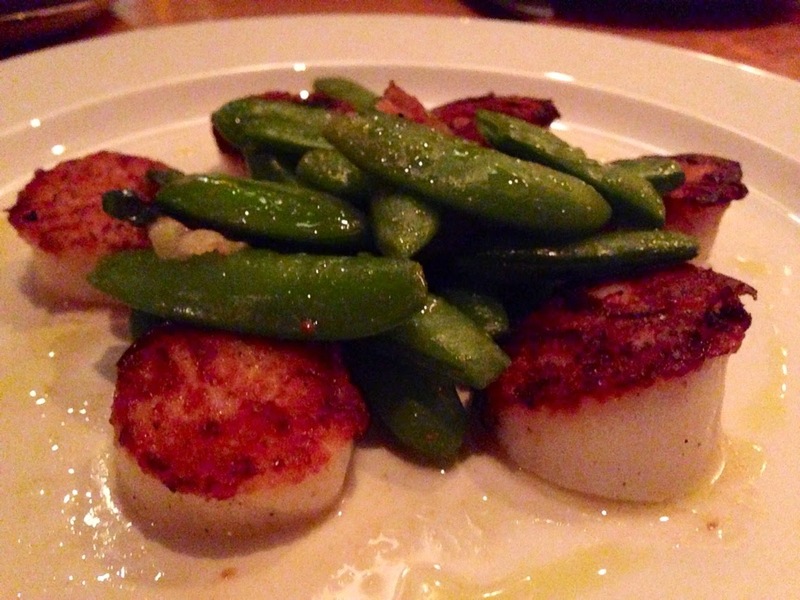 Local Sea Scallops with crispy English pea pods and mint were decent but a tad boring. 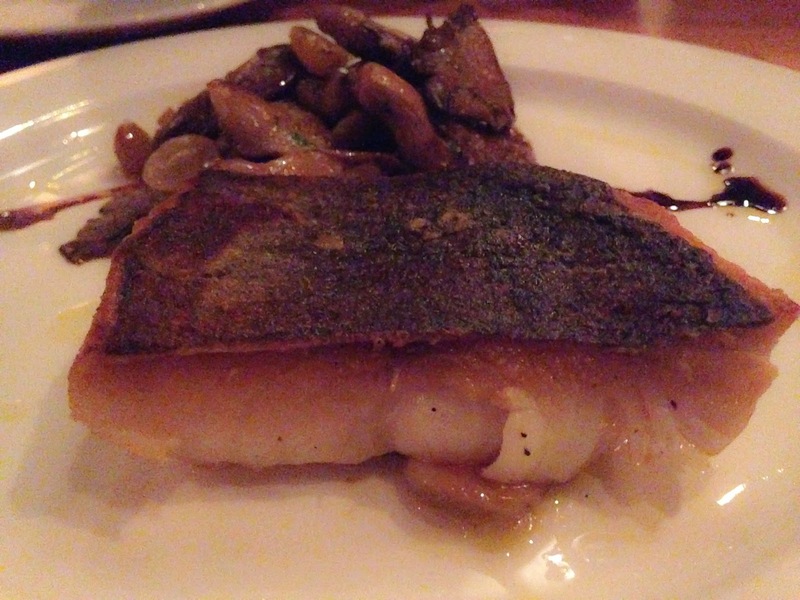 Black Cod with roasted mushroom was a much better choice, prepared simply so the sweetness of the fish and roasted mushroom would truly shine. Weekend Giveaway- Pasta Poetry Duel!